After losing five of their last six games and currently sitting seventh in the Metropolitan Division with a 10-11-2 record the Flyers have decided to relieve Hextall of his duties as the team’s Executive Vice President and General Manager. Flyers president Paul Holmgren cited philosophical differences as the main reason for the decision. 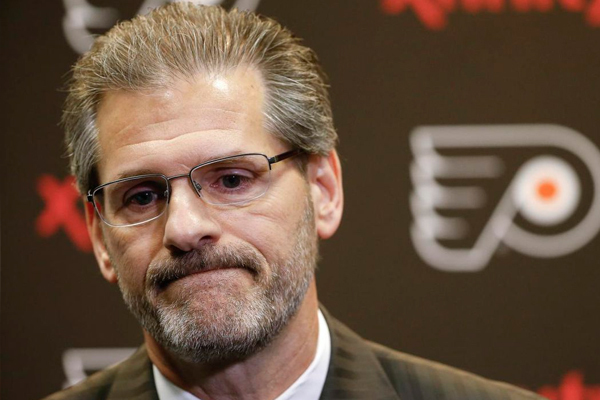 Hextall had been Flyers GM since May 7, 2014. Philadelphia made the playoffs twice during his tenure but the team was ousted in the first round each time. He also played 13 seasons in the NHL as a goaltender and spent seven seasons as an assistant GM with the Los Angeles Kings. The Flyers had a 132-97-40 record during Hextall’s tenure as general manager.